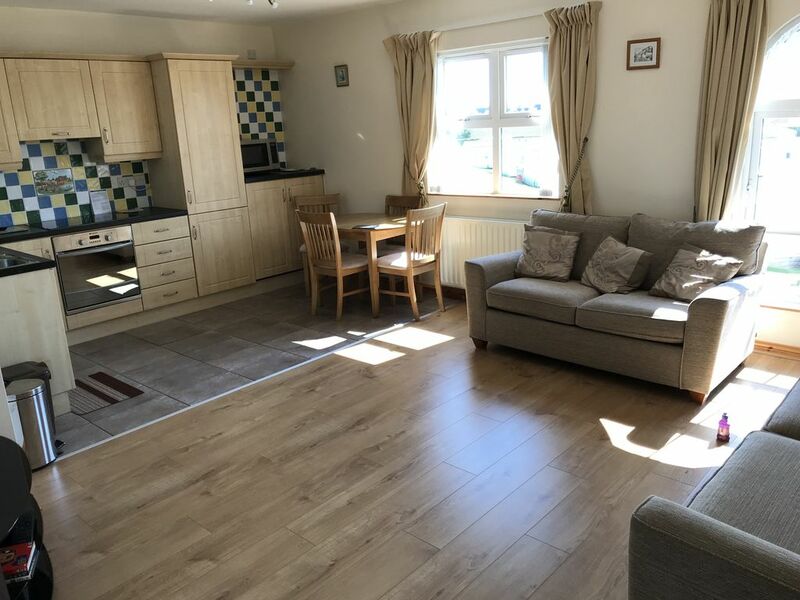 Bright modern apartment located within the Millfield Holiday Village Portstewart. Benefits from an open plan kitchen and living area. Location - 10 minute walk to promenade with a variety of boutique shops, cafes and restaurants. - 1km from award winning strand beach. - 1km to Golf course. - Easy commute to Portrush, Bushmills, Castlerock and Benone. Sleeps - Up to 5/6 people. 1 double with ensuite , 1 bunk bed, 1 double sofa bed. Families - High Chair / travel cot available on request. Ideal for families who can benefit from play park onsite. Utilities - Washing machine, cooker, microwave, fridge freezer, iron & ironing board, kettle and toaster. 42 inch Tv and DVD Player. Bed linen / towels - included in price. Electricity / oil / gas - included in price. Parking - allocated parking space. Availability - Let on weekly basis Saturday to Saturday, otherwise available upon request. Deposit of £100 required to secure booking. Remaining balance to be paid 4 weeks before arrival. Long weekends available only during off peak season.